In a ceremony held at the prestigious Grosvenor House Hotel, Park Lane, London on October 31, nurses and organisations were honoured across 23 categories in a night of recognition dedicated to celebrating exceptional achievement. And following a rigorous judging process, WWL emerged as the winner of the Cancer Nursing category for the nurse-led accelerated jaundice pathway project. The judges praised them for their truly nurse-led innovation that has shown demonstrable improvements across the health economy in a cancer group that is associated with poor patient outcomes. Vicki Stevenson-Hornby, a Macmillan HPB Clinical Nurse Specialists who pioneered the project said: “The Nursing Times Awards Evening was a truly fantastic evening. “To be announced as the winner in the Cancer Nursing category is absolutely fantastic and a moment I will never forget. “The impact which the nurse-led accelerated jaundice pathway has had in terms of achieving earlier diagnosis of pancreatic and biliary cancers as well as increasing the number of patients eligible for surgery is to be celebrated but, to win a national award means more areas now hear of this initiative and may go on to adopt a similar model of pathway. “This then has the potential to make a real difference for anyone affected by pancreatic and biliary cancers and a real chance to impact on improving survival rates. 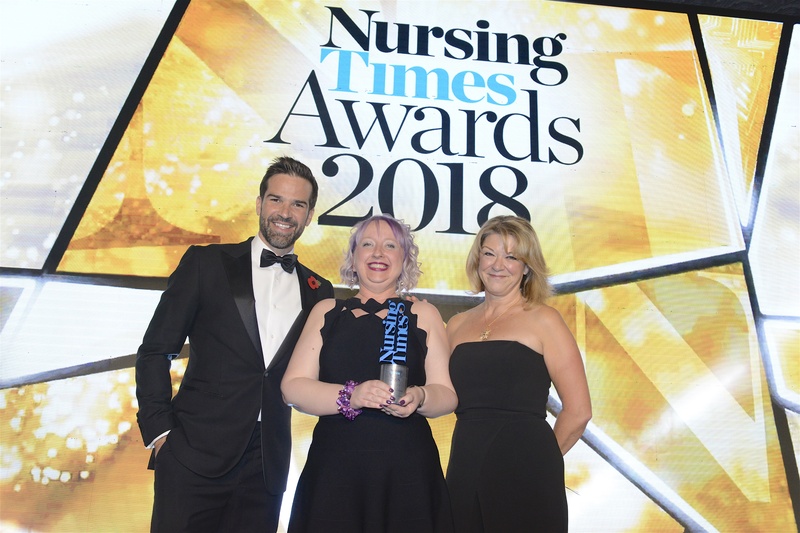 The Nurse-Led Accelerated Jaundice Pathway, first implemented in March last year, beat over 700 applications and was chosen among 140 organisations to be in the best of the nursing professions. Editor of Nursing Times, Steve Ford, said: “The evening always fills me with a really positive feeling, despite the challenges that may be facing the wider health sector. “As ever, our awards entrants set a very high bar and demonstrated what great care and innovation can be achieved by nurses, often with few resources other than a really good idea and the determination to see it through.